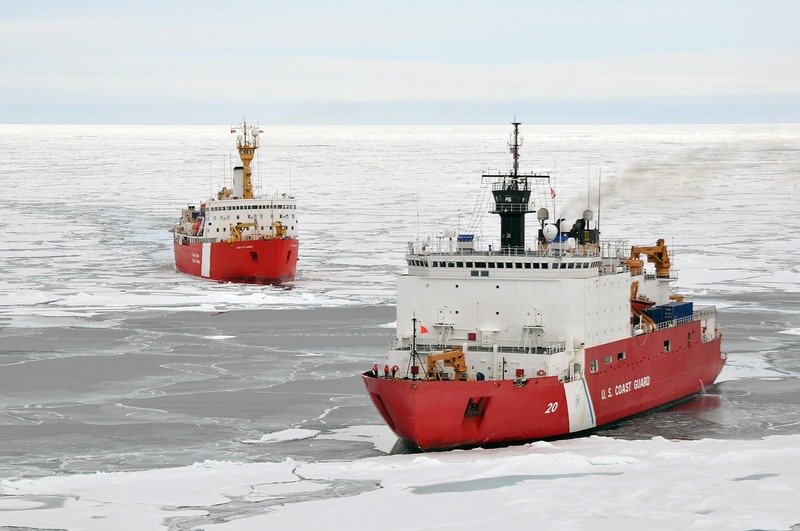 The US Naval Institute News Service has provided access to a report to Congress, “Coast Guard Polar Icebreaker Modernization: Background and Issues for Congress,”by Ronald O’Rourke, Specialist in Naval Affairs, September 25, 2015. I am repeating here the last two paragraphs of the Summary. I think they explain quite clearly the sad state of our icebreaker fleet. “On September 1, 2015, the White House issued a fact sheet in conjunction with a visit to Alaska by President Obama indicating that the Administration, in its own internal planning, had at some point over the past two years deferred procurement of a new polar icebreaker to FY2022, but that this has now been changed to FY2020. The newly announced procurement date of FY2020 is a two-year acceleration from the previously unpublicized date of FY2022, and a two-year deferral from the FY2018 date implied in the FY2013 and FY2014 budget submissions. The fact sheet states that the Administration will also “begin planning for construction of additional icebreakers” beyond the one that the Administration proposes to procure in FY2020. THE problem is that this is a $1.5 Billion Unbudgeted rqmt for a service which always seems to get their ship acquisition programs cut by Congress. And it shows the problems that develop WHEN the Congress does NOT allow a service to plan for ship replacement on time. What congress needs to do is look at the money that the navy just spends so they don’t loose it next year. And just give it to the USCG. That would solve our budget problem. All congress has to do is act, and legislate. But the big problem with the Navy, and defense department in general is that they want the BMW/Ferrari. But when you look at what you are doing or have tasked for it a Ford/Chevy would be better. KISS. Keep It Simple Stupid. That is why I am a proponent of the SC-130J, and a up gunned NSC. The SSC is just lipstick on a pig.